1/2 inch size 14k rose gold 2mm thick hoop earrings. 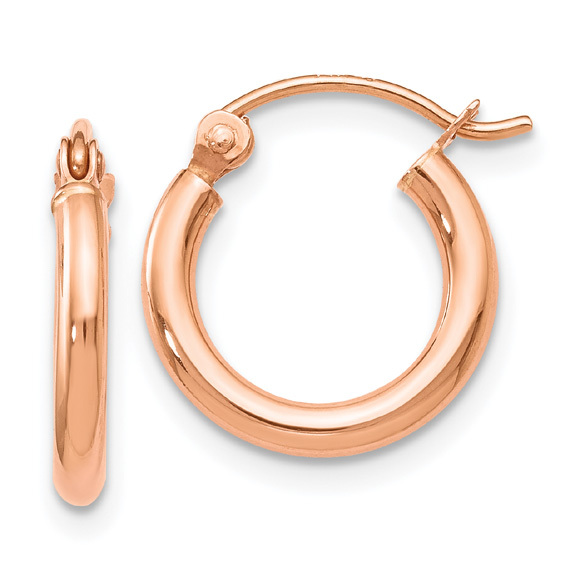 Rose gold hoops measure 13mm in diameter and include secure wire and clutch hinge closures. We guarantee our 1/2 Inch 14K Rose Gold 2mm Hoop Earrings to be high quality, authentic jewelry, as described above.